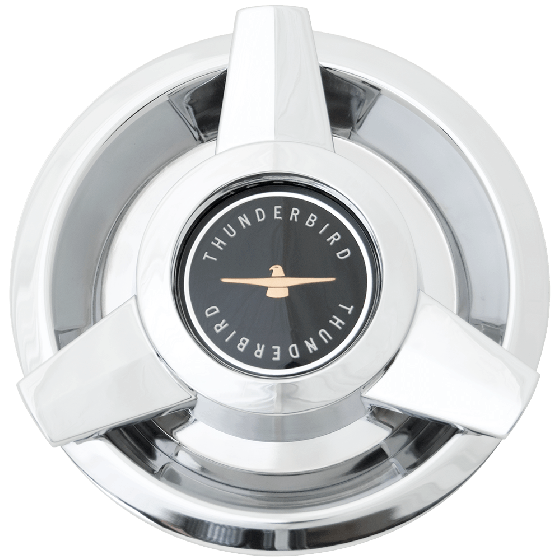 This is a Black Thunderbird wire wheel center cap. This Thunderbird cap has three bars and a black Thunderbird emblem in the center. These authentic Thunderbird Hubcaps give a distinct knockoff style appearance. 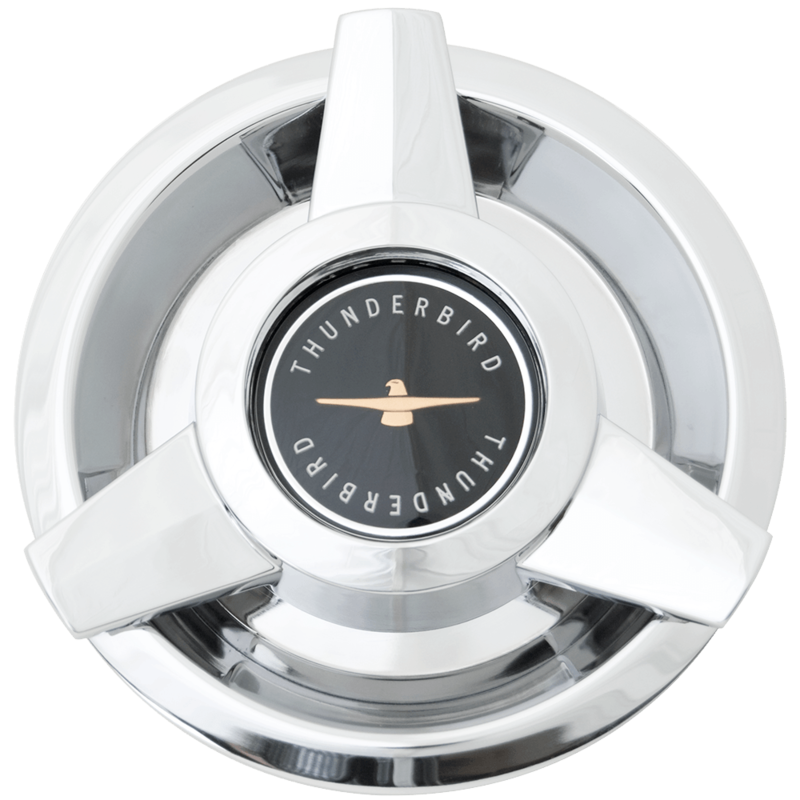 This Thunderbird wire cap with Black center fits out Thunderbird wire wheels, all sizes. Please check your actual wheels required cap fitment size. Are these caps metal or plastic? These caps are of metal construction.